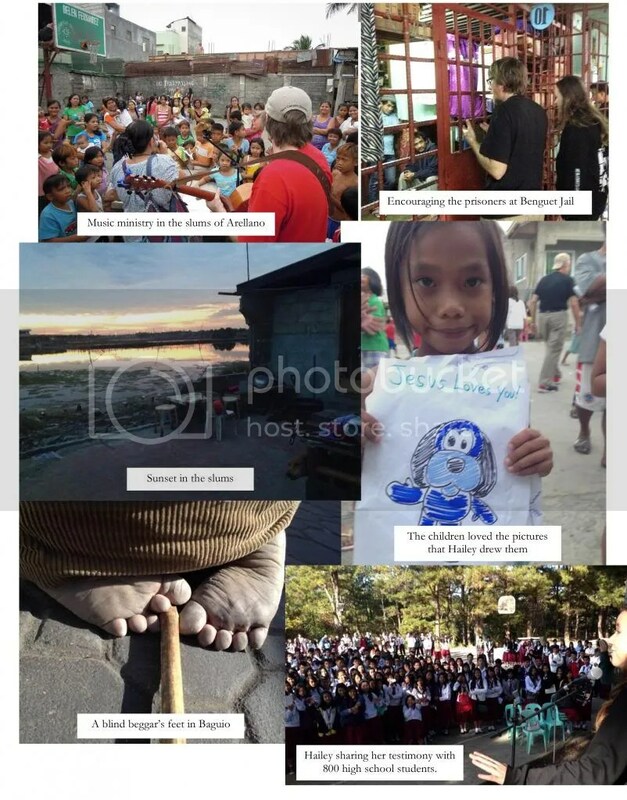 Recently I went with a team on a mission trip to the Philippines. We played music, shared testimonies and preached the good news of the gospel. Whatever opportunity came, we took it and tried to represent Jesus the best we could. It was a humbling and life changing experience. We met so many wonderful people who marked our lives. Of course, like any mission trip it opened my eyes to the many things I take for granted in the United States, but it also revealed the coldness and isolation we sometimes experience in our culture. 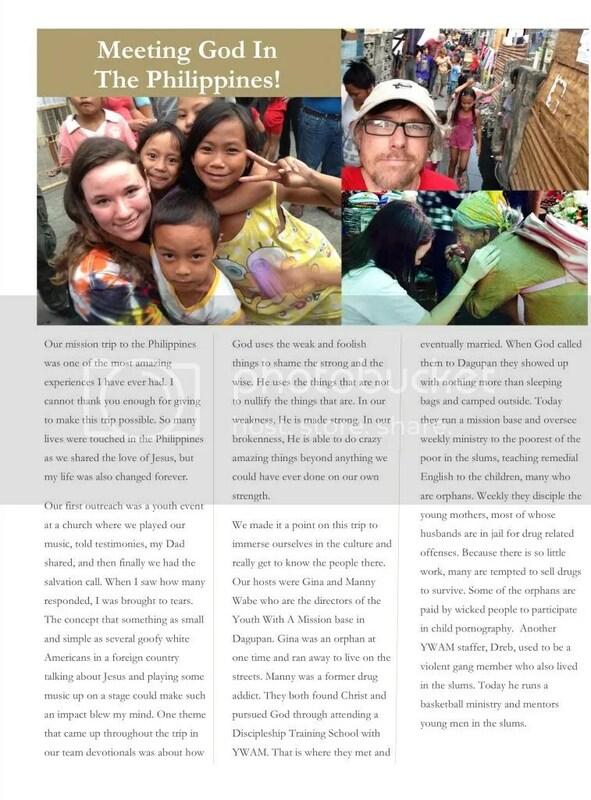 The people of the Philippines were so gracious and hospitable to us and I experienced God’s love through many of them. We sang the lyrics of one of my songs, “Blessed are you who are poor, yours is the kingdom of God” in the slums of Arellano and it seemed prophetic, for as the adults and children sang the joy of God seemed to fill the air. I was so touched to hear people sing along to the songs I had written from my heart, but never knew I would sing in this country. It was as if the songs were written just for them. The hard work of the missionaries at the Dagupan YWAM base was awe inspiring. Weekly they go into the slums to minister where the local churches are afraid to go. Of course this inspired me concerning the work we do with New York City Relief. To see their faithfulness, hard work and commitment to the poor encouraged me to keep moving forward in our mission to the poor in New York City and New Jersey. I will forever be grateful to those of you who partnered with us to go on this trip and to the people there who welcomed us into their hearts.